You are here: Home / Location / California / WEEKEND SALE $1,400 OFF! NOW ONLY $15,000! Wide Open Space Nestled Amongst Buttes! 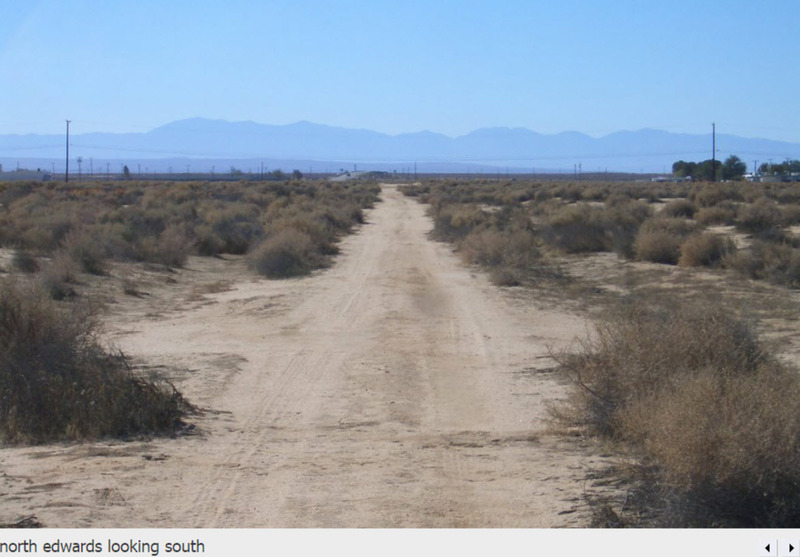 40.00 Acres in North Edwards, CA. New Terms Available! This wide open space of 40.00 acres is nestled amongst buttes about a half mile mile North of North Edwards. Super close to town yet it feels like your a hundred miles deep in the country. Gorgeous mountain views and desert sunsets await you! Super easy access here with Flint Street (a dirt road) running along most of the West side of the property. 50 minutes from Lancaster. 1 hr 50 min from LA. Perfect spot for an RV or weekend camping getaway, ride your ATV’s up one of the buttes and watch the sunset from the top or subdivide the parcel into 2.5 acre lots and sell them off for a healthy profit! I have the 2 adjacent 40 acre parcels for sale! Priced at $17,900 this is well below the average price per acre within Kern County and with the location being so close to town this is an amazing deal. This one won’t last long!